On July 25th, 2016 at 2:35 PM, the El Dorado County Sheriff’s Office received a report of a bank robbery at the US Bank, located at 1020 White Rock Road suite E in El Dorado Hills, Ca. The suspect was reported by witnesses to have fled into a wooded area located southeast of the bank. Deputies, Detectives and CHP Officers including a CHP helicopter, responded to the scene and began searching. The suspect was located in a creek and he surrendered to a Sheriff’s K9 unit. CSI and Dive Team personnel assisted in recovering evidence both on land and in the water. Detectives later served a search warrant on the suspect’s residence and located additional evidence related to the bank robbery. 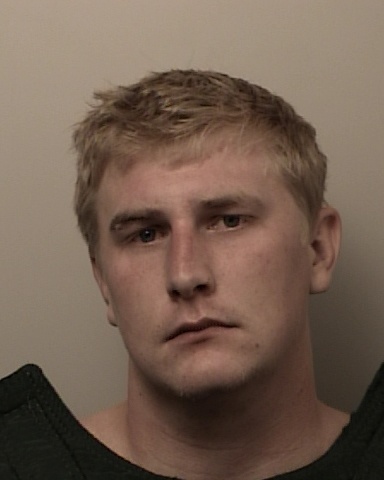 David Jarrell, a 22 yr. old male resident of El Dorado Hills is currently in the custody of the El Dorado County Jail on three counts of 211 PC, robbery and one count of 664/211 PC, attempted robbery. Jarrell is being investigated by Detectives for ties to other robberies in the region. Anyone with information about Jarrell or other recent bank robberies is encouraged to contact Detective Conley at 530-642-4712, reference case EG16-6612.